Comfortable and lightweight diamond shaped earrings. 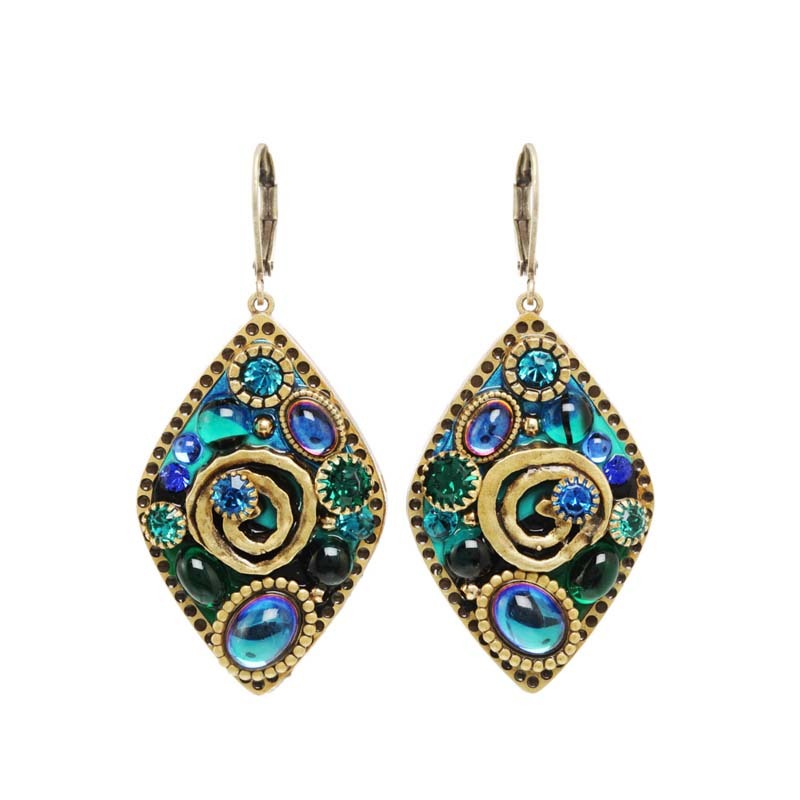 Gleaming gems surround whimsical gold swirls. A versatile pair of earrings that will brighten up any ensemble.